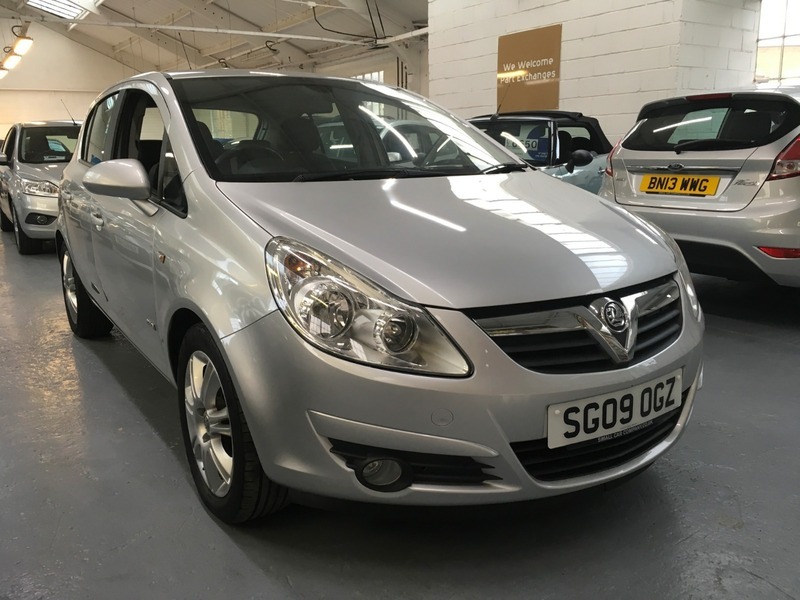 WE'VE JUST TAKEN THIS LOVELY CORSA IN PART EXCHANGE WHICH WE SOLD 5 YEARS AGO. IT COMES WITH LOTS OF SERVICE HISTORY INCLUDING MOTS. FINISHED IN SILVER METALLIC. SMALL ENGINE SO MIGHT SUIT SOMEONE FOR THEIR FIRST CAR MAYBE? GOOD SPECIFICATION INCLUDES AIR CONDITIONING, ELECTRIC WINDOWS AND MIRRORS AND STEERING WHEEL AUDIO CONTROLS.